Probably necessary. I hear that to become one of The Twelve, you need to challenge one of the existing Twelve in hand-to-hand combat to the death. I think the popemobile thing will at least prevent any would-be challengers stealing a march on them. I’ve always loved a trial by combat! Never mind new rank slides I received a P45 yesterday from HQAC which stated my title was AWO.Also that my last day was 21st March 2019.Funny that as AWO hasnt existed for many years and I left last September!.Also since when was I an employee lol. The Army does have a Ultimate SNCO tank badge! It belongs to Garrison Sergeant Vern Stokes of the Coldstream Guards. 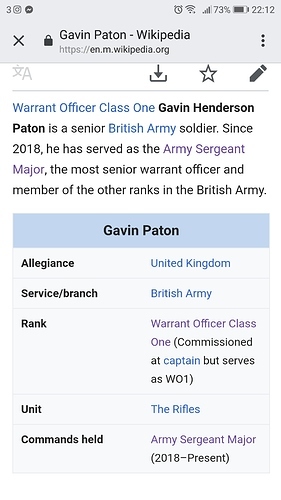 He is known as the Queens Sgt Major! 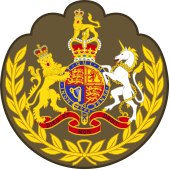 HMQ authorised this badge to distinguish the GSM from everyone else and was first given to GSM Billy Mott. I’m sure some of the 12 would love a blue version!! Commandant Air Cadets Warrant Officer Major Sergeant Of The World. That badge is a bit gaudy, even by my tastes. They just schmooshed together the old (very old) sergeant major insignia and modern warrant officer insignia. But oddly the ASM is commissioned but wears the rank of a WO. The Academy Sergeant Major is not commissioned. 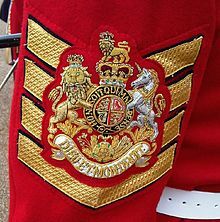 I think I read that the Corps of Royal Engineers Sergeant Major is commissioned too. Something about them being a captain once they leave the office. 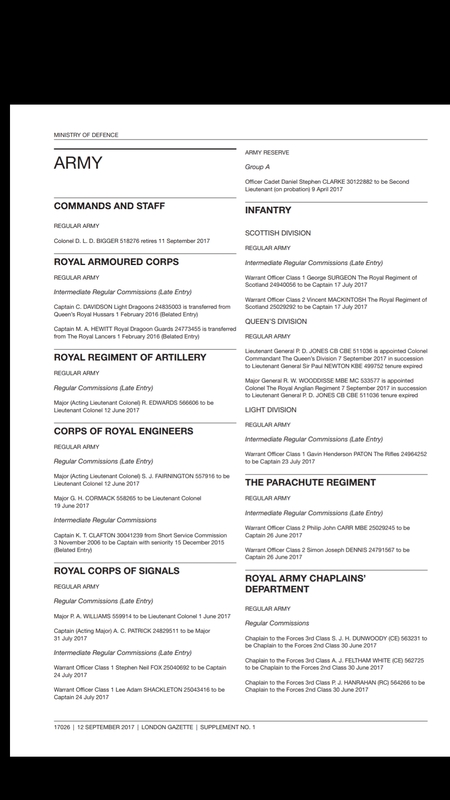 Why on earth would an Army Warrant Officer become promoted to a commission as a Captain, then retain the rank and title of a Warrant Officer? So which billet / mess would they be a member of? Would they be paid compliments via hand salutes or with arms? It’s up there, actually. 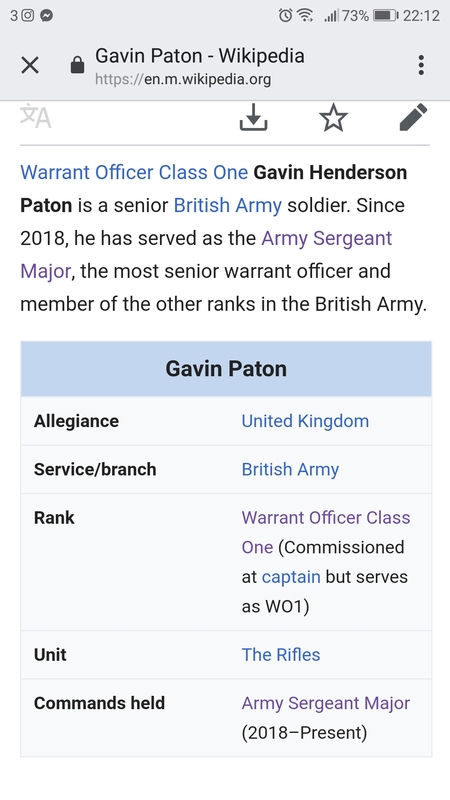 The gazette extract lists Gavin Paton as being made a captain.